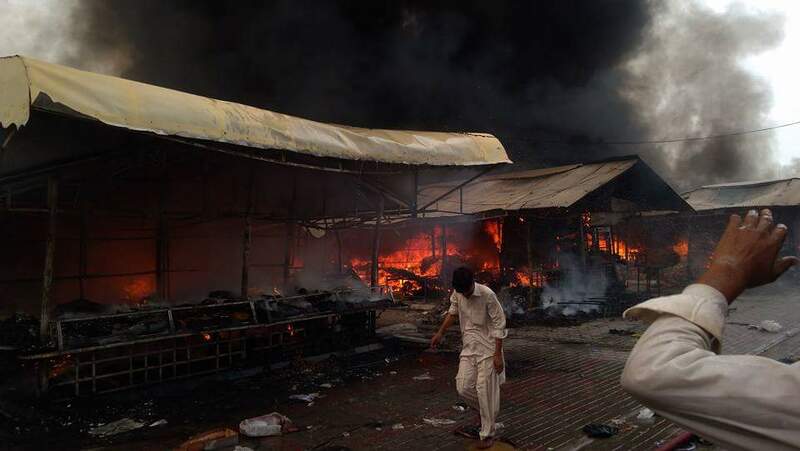 There were huge black clouds of smoke emanating from the Sunday Bazar Area this morning. 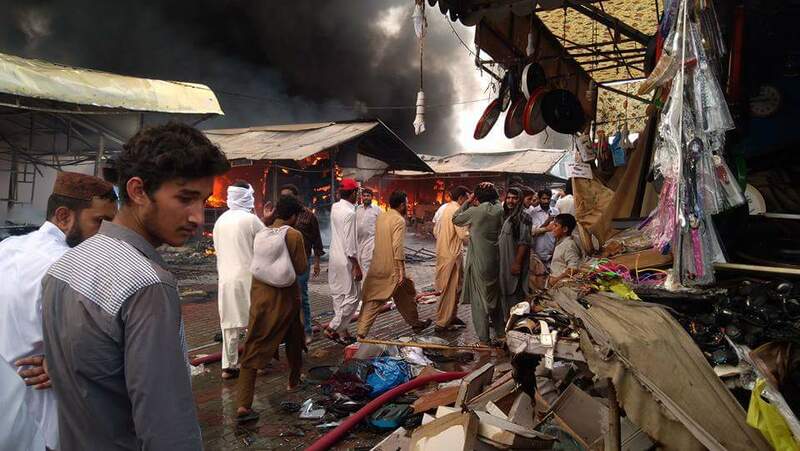 The officials have confirmed that the stalls caught fire and at least 600 stalls have burnt down due to the fire which is reported to be started by the shopkeepers who lit up a fire near the garments stalls, according to Geo News. 12 fire tenders are busy in dousing the flames. The officials have said that the winds and easily-catching fire materials particularly the garments had made it tough for them to control the fire. The properly planned structure of the Sunday Market is the plus point for the rescue team. The rescue officials are claiming to have controlled the fire and that it will be extinguished very soon. Luckily the market was closed today as it opens only on select days including Sunday, Tuesday, and Friday. No loss of life has been reported. Rescue officials succeeded in extinguishing a major part of the inferno which spread across the city’s Sasta Bazaar in Sector H-9 earlier today. 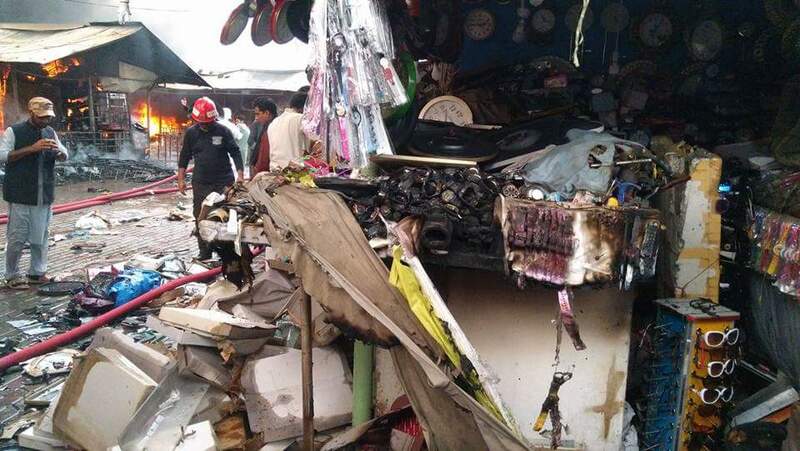 According to another report, the fire resulted from short-circuiting damaged more than 180 stalls and was doused in one and a half hour using 20 rescue vehicles. This is a developing story and we will keep you updated. Its sad… but dekha jaye to ek sabaq bhi hai in logo ke liye jo landay ka maal branded ki keemto pe bech rahe hain…. itne parr lagay huye thay in ko…. but really sad for them ghareeb becharay….